Reynisdrangar are basalt sea stack in the south Iceland stocked up to 60 meters from the sea making the famous Reynisfjara black beach even more beautiful. Reynisdrangar rocks are situated under the mountain Reynisfjall and are adjacent to Reynisfjara black beach. You can see them from the Víkurfjara beach as well. 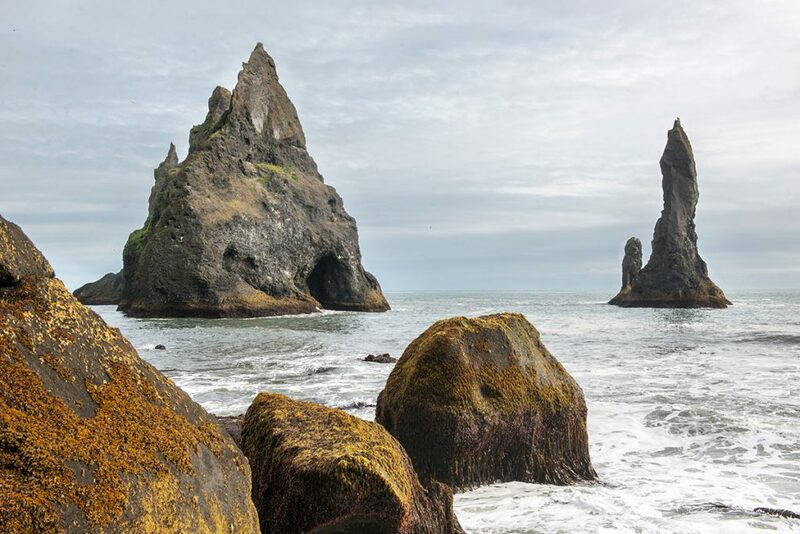 Skaliska Reynisdrangar se nacházejí v těsné blízkosti pláže Reynisfjara, vidět je můžete také z pláže Víkurfjara. 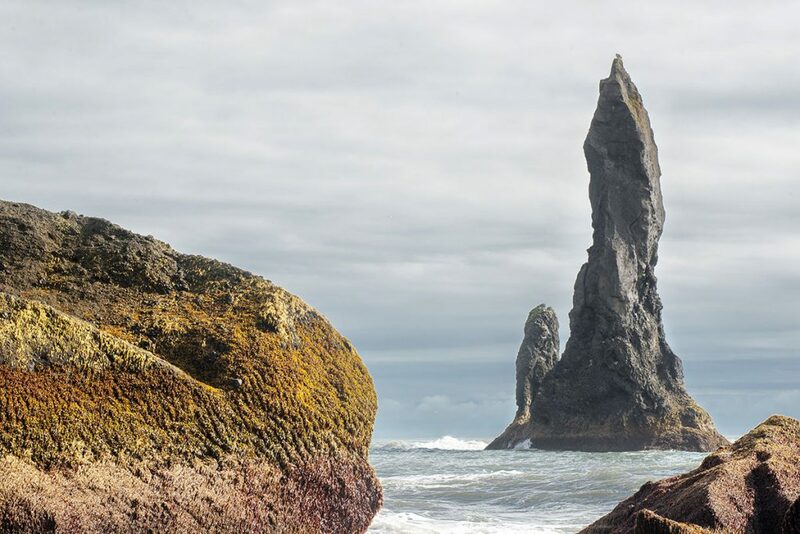 GPS coordinates of the Reynisdrangar stacks: 63.399627, -19.032251 Take me there!